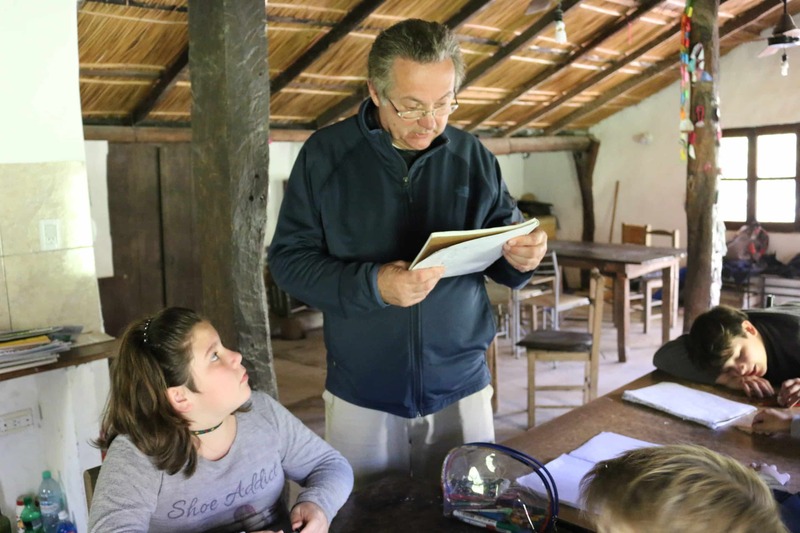 Our Buenos Aires expat writer, John Bechtel, tried his hand at teaching English to Argentinian children in the north of Argentina in connection with his writing about that area. This week we have his account for all of you who may be aspiring English teachers, as well as those who are just interested in his adventures in Argentina..
My first class of English students all graduate with high honors! I came to this remote village of Colonia Carlos Pellegrini hoping for a base of operations to explore the far northeast of Argentina, a region with almost two million acres of wetland (I called it swamp), dense rain forests (I called it jungle), and dozens of abandoned indigenous settlements of the original Guarani indigenous people, many of which have been reclaimed by the jungle (I called them ruins). Others are UNESCO heritage sites. Why this village? Because I responded to an ad for free lodging in exchange for teaching English to about 15 of their kids. I agreed to a five month stay, and I would teach about three hours a day, five days a week. No textbooks, no plan, a chalkboard that refused chalk, and no internet to speak of. But nothing, absolutely nothing, could have prepared me for the kids. I beg of you, please don’t leave this post until you have watched the video at the bottom. The kids’ ages ranged from six to eleven years old. It was hard to understand the spoken English of even the most advanced among them, and some of the younger ones didn’t even know the alphabet in their own Spanish language. And I didn’t speak a word of Spanish. I was expecting to create some memories; some occasional natural beauty, as well as mosquitoes, heat, torrential rain, lots of mud–but never something that touched my heart like this! 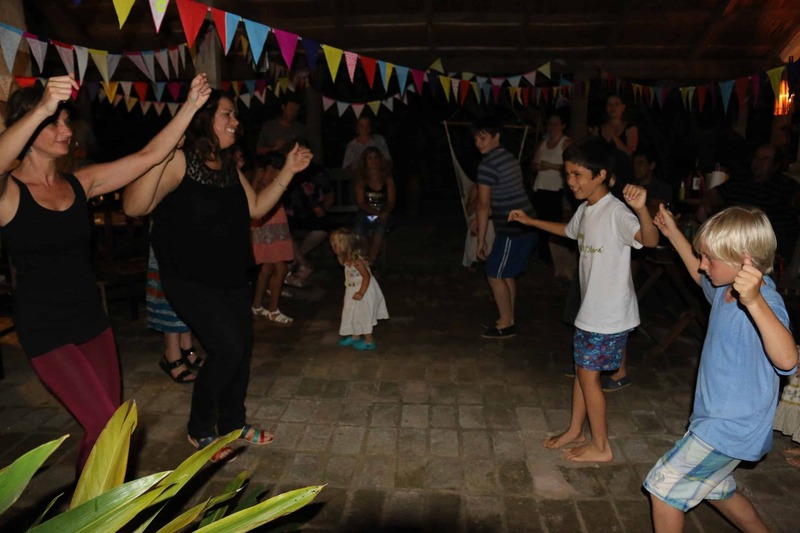 Paula, one of my students learning English, at a party in Colonia Carlos Pellegrini, Argentina. Paula is a happy girl from a loving family. She is shy, and very, very determined. In preparation for filming her as part of the year’s graduation, she insisted on extra practice sessions, and walked across the village by herself for her lessons. She spoke no English at the beginning, and sometimes we communicated by me drawing pictures. Without internet, I couldn’t even use Google Translate. But I could see in her eyes she desperately wanted to learn. My young students learning to dance at a party. Laughter, learning, and mischief all part of the celebration of life. Ali, on the right, foreground; Bauty on the right, background; Marco deep background, striped shirt. We had a classroom–an old adobe house under a giant tree. The ceiling fans stopped turning when the electric went out, which happened frequently. Alexa getting her work checked, inside the one-room schoolhouse. (There was an adjacent room where guests occasionally spent the night). Marco, to the far right, always did his best work with his head on the table. At the end of the school year I videotaped a final oral exam that I held with each of them, one by one. I wanted their parents to see and hear what their kids had learned. Each of the kids had to read aloud a paragraph in English, and then, without looking down at their paper, they were asked to answer my questions to demonstrate if they had understood what they had just read into the camera. They were nervous. They had never done this before. Sometimes I would throw in an unscripted question to see how they would handle it. And one or two of them got inspired and tried a little improvising of their own. Editorial warning: This may be good for your heart! (Video editing provided by famous bird photographer Roberto Ares). At the party in the photos above, I played their videos on my laptop for their parents to see. A sizable group of parents gathered around behind the laptop, spellbound. I saw smiles and tears of joy and pride in their eyes. It was amazing to watch the results of effort and reward for the kids, as their sense of self esteem grew. For some it was a self-reinforcing cycle, leading away from uncertainty and fear, and towards confidence and joy. With all of them, I realized there was so little that I knew about their young lives and all of the factors contributing to the development of their character. I decided quite early on that I was only a guide and cheerleader, and they provided the effort. I learned a lot by just watching them, even at play. 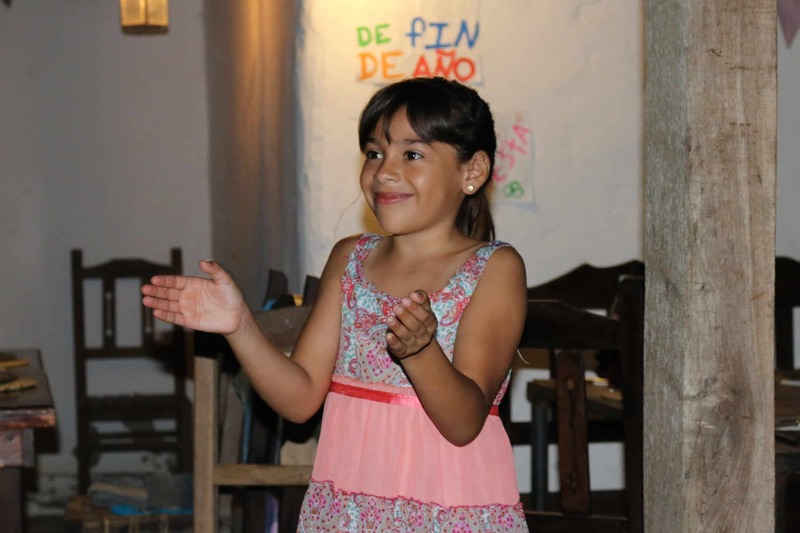 This is Aricelli, and you will see both her and her brother, Francisco, on the video. How could anyone not love these guys? What about YOU? Would YOU like to travel and profit writing about places you visit? Check out this opportunity. Your Money Machine – Wherever You Are!